October 20, 2016 – Are you an artist? If so, you have a unique opportunity to view the amazing and aesthetic scientific marvel that is the James Webb Space Telescope. Webb has a mirror that is nearly 22 feet high and (to optimize it for infrared observations) is covered in a microscopic layer of actual gold. Because of Webb’s visually striking appearance, NASA is hosting a special viewing event on Wednesday, November 2, 2016, at NASA’s Goddard Space Flight Center in Greenbelt, Maryland. Artists are invited to apply to attend. The goal of this Artist Event is to allow artist attendees to set up their supplies for their artistic medium of choice right in front of the telescope itself, and be given time to create. This can include things like sketching, drawing, painting, photography, and digital art. Artists who work in non-visual artistic media are also invited to apply. While creative works do not have to be finished in the time allotted, we intend to display the finished products at minimum in an online gallery. We are investigating the possibility of a live event to showcase the works created as well. The applications for the James Webb Space Telescope Artist Event opens online on October 20, and the deadline to apply is noon EDT on October 25. All applications will be considered on a case-by-case basis. 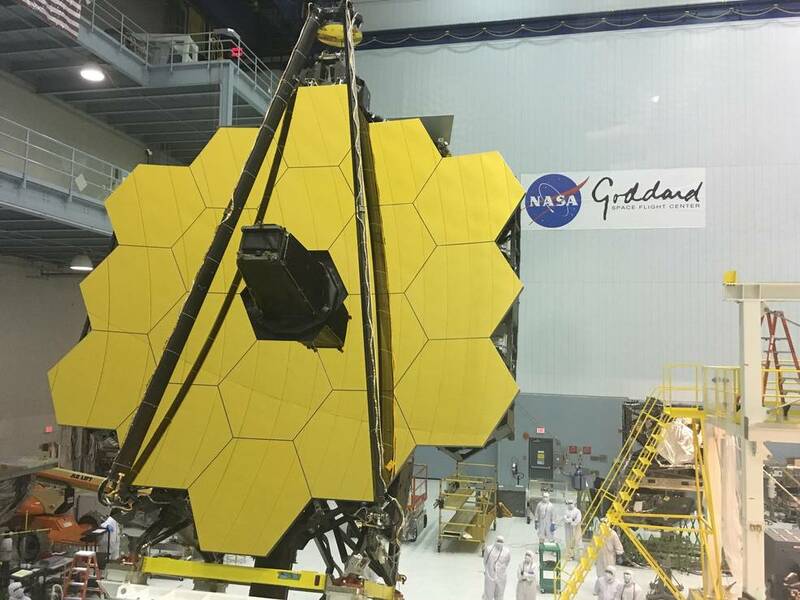 Ball Aerospace & Technologies Corp. of Boulder, Colorado, is responsible for the eighteen primary mirrors that make up the James Webb Space Telescope. Once on orbit, the 18 hexagonal segments will work together as one 21.3-foot (6.5-meter) primary mirror, the largest mirror ever flown in space and the first to deploy in space. Ball Aerospace was also responsible for developing the secondary mirror, tertiary mirror and fine-steering mirror.